I snuck out to the garage tonight for a couple minutes of getting the rear spar riveted into the HS. Before clecoing the rear spar in, I had a few rivets I needed to drill out from yesterday. First, this one, which was sitting a little high. Easily drilled out and replaced. Then I moved on to two cases of split shop heads. Here’s the first one. And the second one. 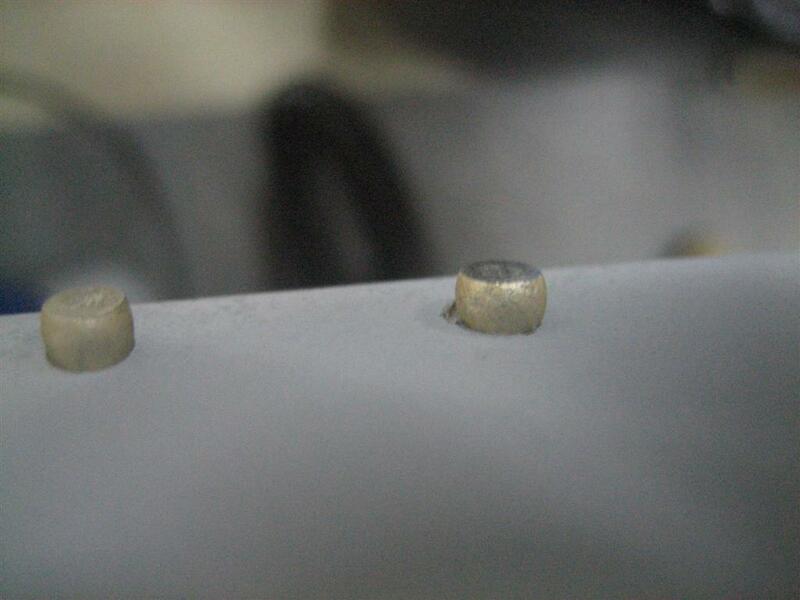 I think this happens when I start to set the rivet a little crooked and then try to straighten out. Split shop head #2. Uglier. Anyway, I fixed both of those, and took this picture of the new shop head as representative of all three. 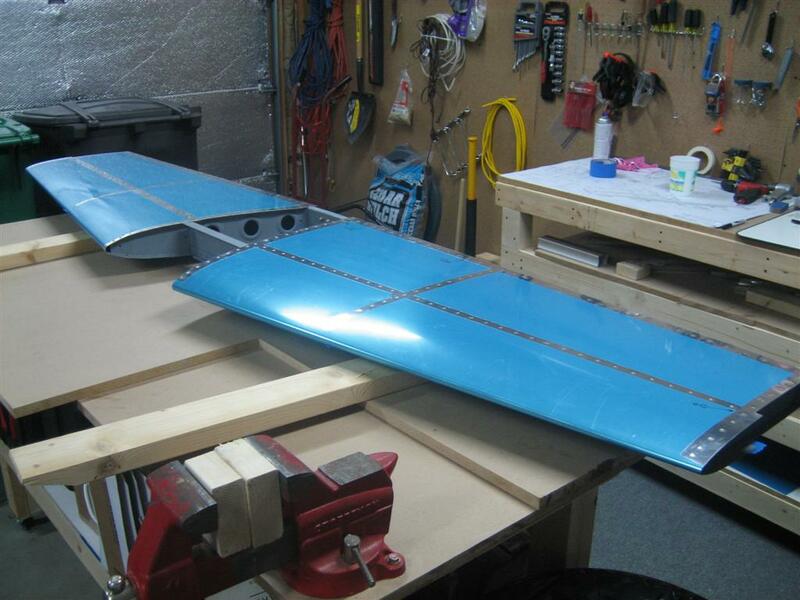 Then, I clecoed the rear spar into the HS and started dropping rivets in. These haven’t been squeezed yet, but I thought it looked cool. Ready to start squeezing the skin to spar rivets. Then Ginger came out to ask why I wasn’t inside rubbing her belly. "What are you doing out here, dad?" 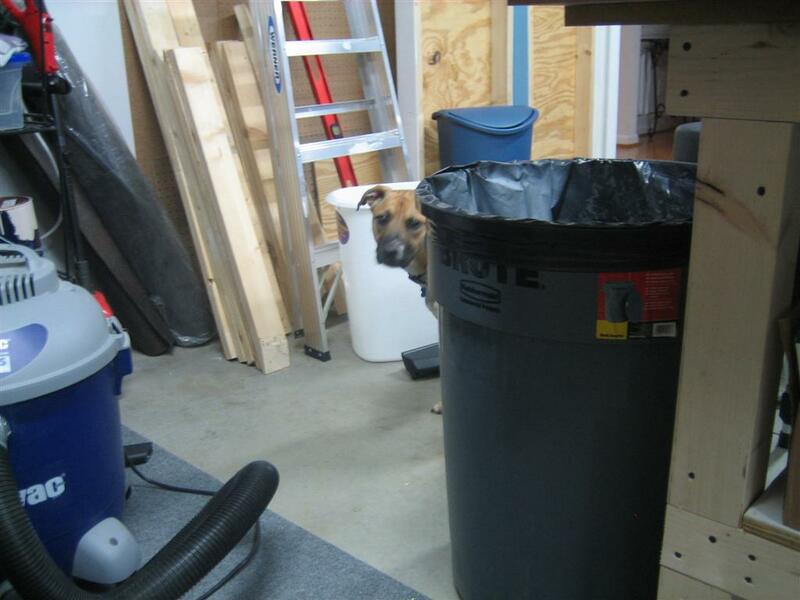 She wouldn’t come on this side of the workbench, but was definitely curious. 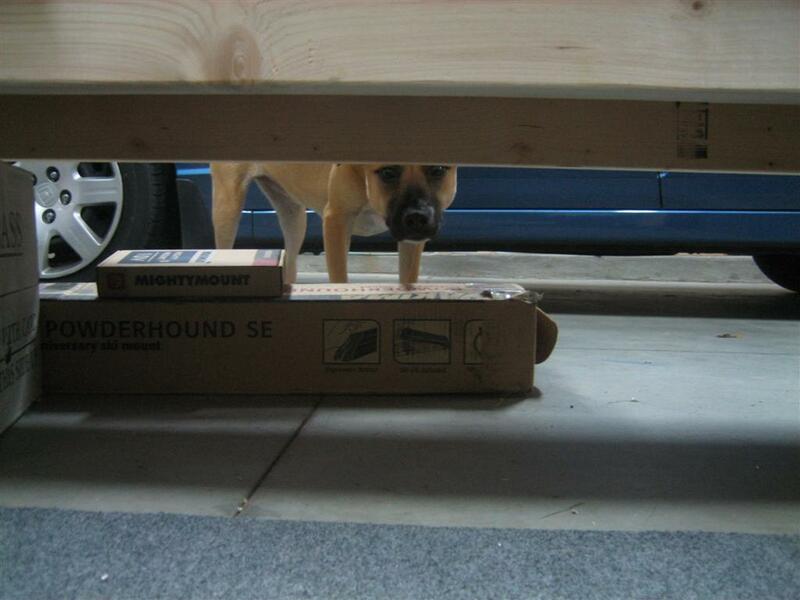 She was staring at me from under the workbench for about 20 seconds before I realized she was down there. "Dad, come inside and let me lay on you." 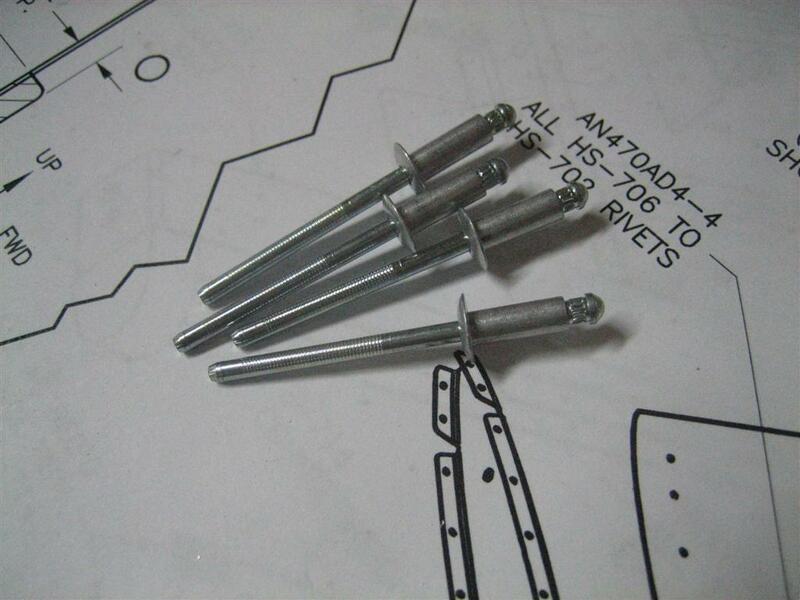 After squeezing all of the skin-to-spar rivets, I needed to find the BSPQ-5-4 blind rivets. Here they are. 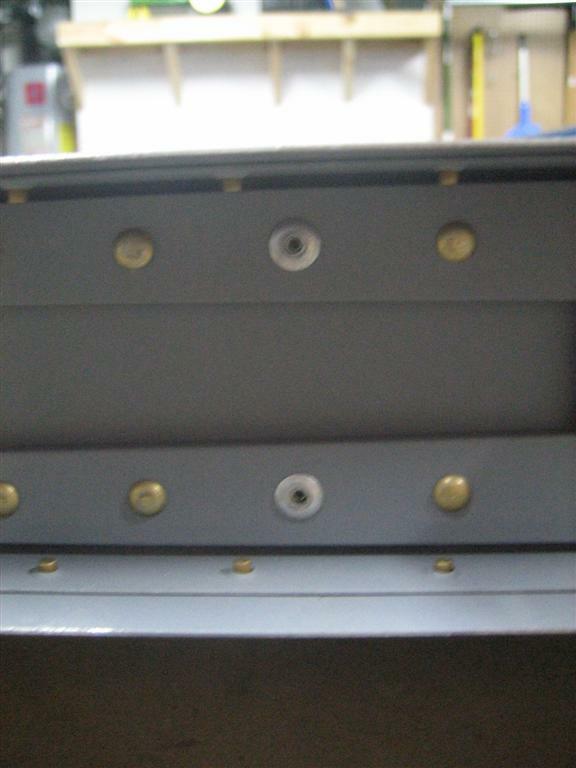 Here are the HS-708 (rib) to rear spar holes they fill. 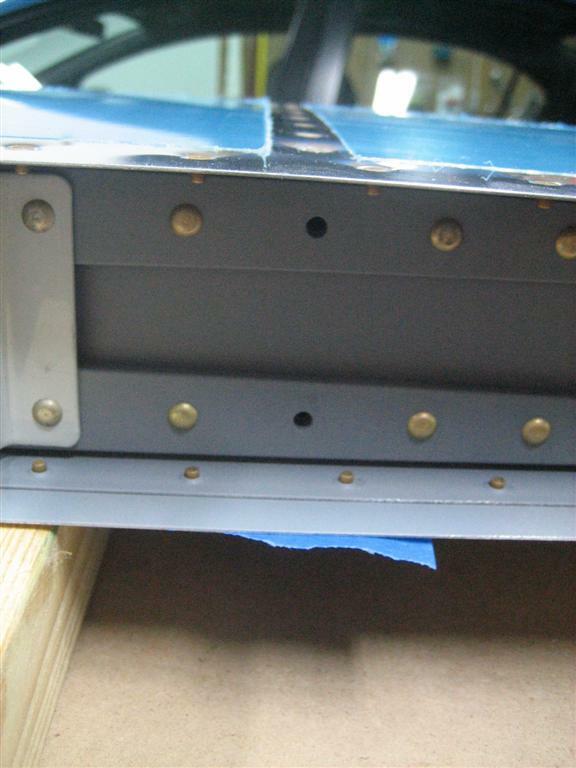 Last 2 (4, 2 on each side) holes in the horizontal stabilizer. 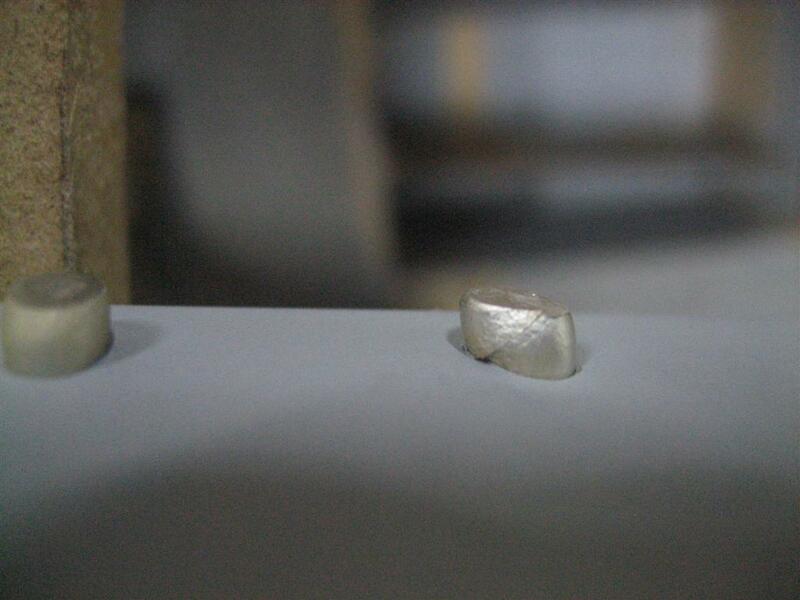 I don't love having these blind rivets showing, but no one will see them when the elevator is installed. 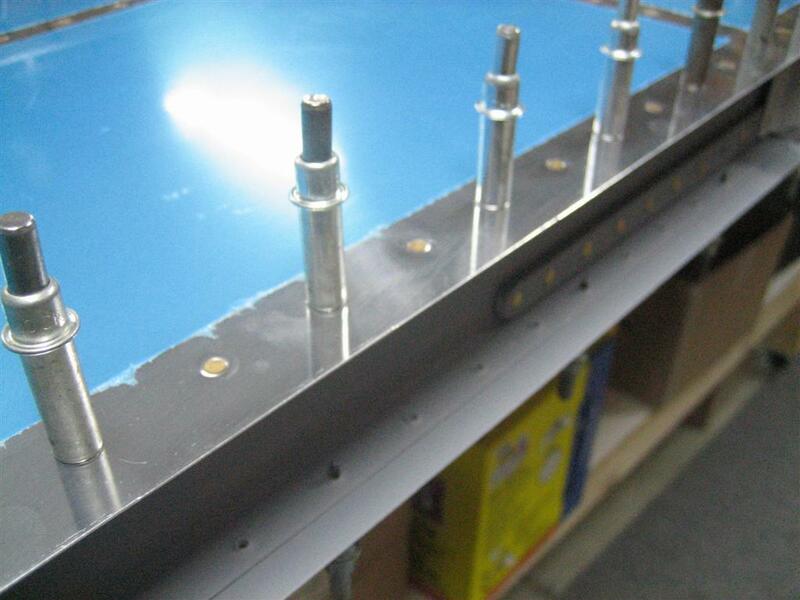 Here’s a picture of the almost final project. I circled about 7 rivets on the bottom side (the HS is upside down here) that I want to replace. I’ll fix those this weekend, and inspect the top side before calling the HS complete. I ended up spending almost 2 hours outside. 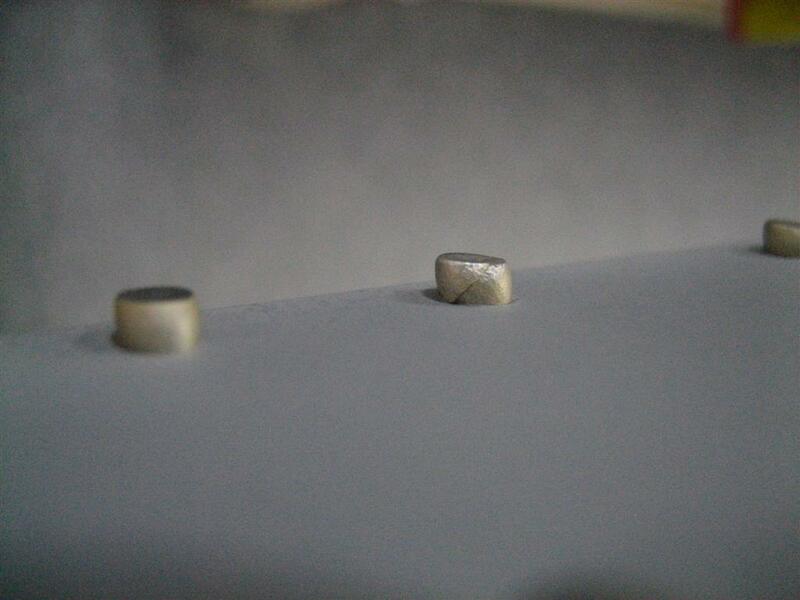 Drilled 3 rivets out, set 178. This entry was posted on Wednesday, January 20th, 2010 at 11:59 pm and is filed under Empennage. You can follow any responses to this entry through the RSS 2.0 feed. You can leave a response, or trackback from your own site. Those shopheads don’t look compressed enough. 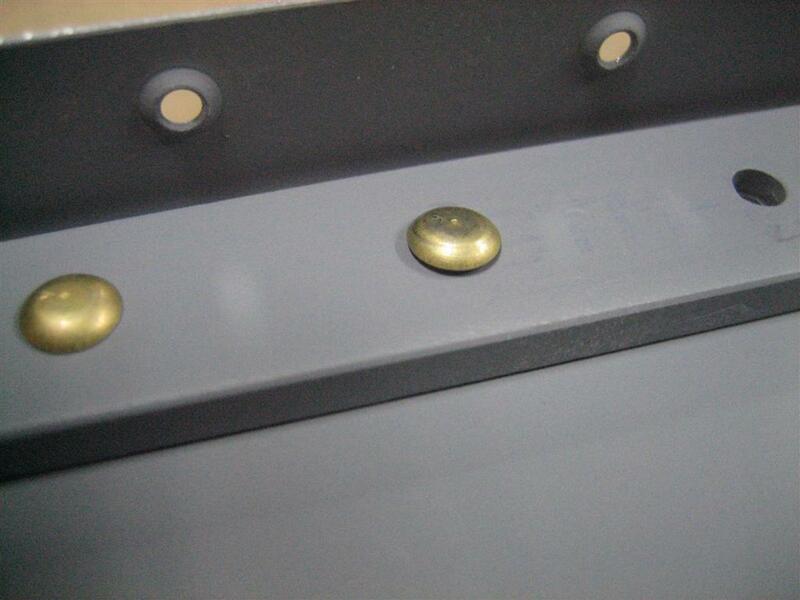 Do you have a gauge to test the shop head? Eventually you can eyeball them, but the gauge is useful.